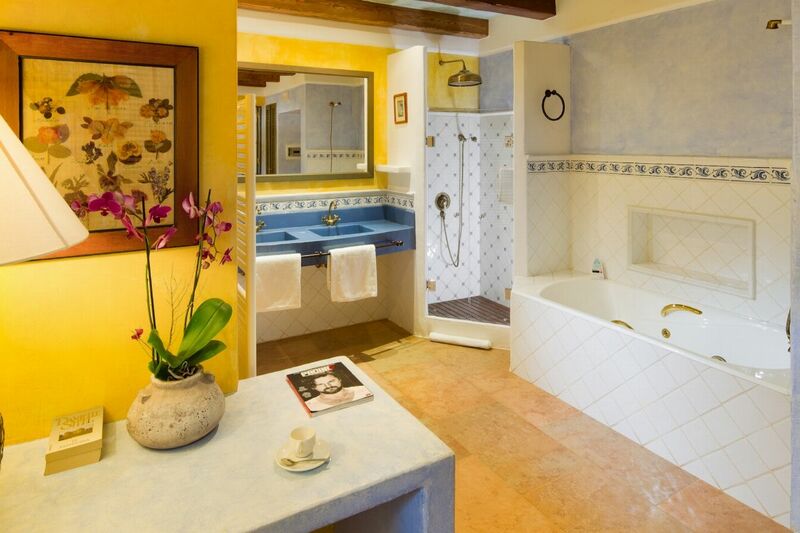 4 hours daily cleaning and linen/towel change midweek. 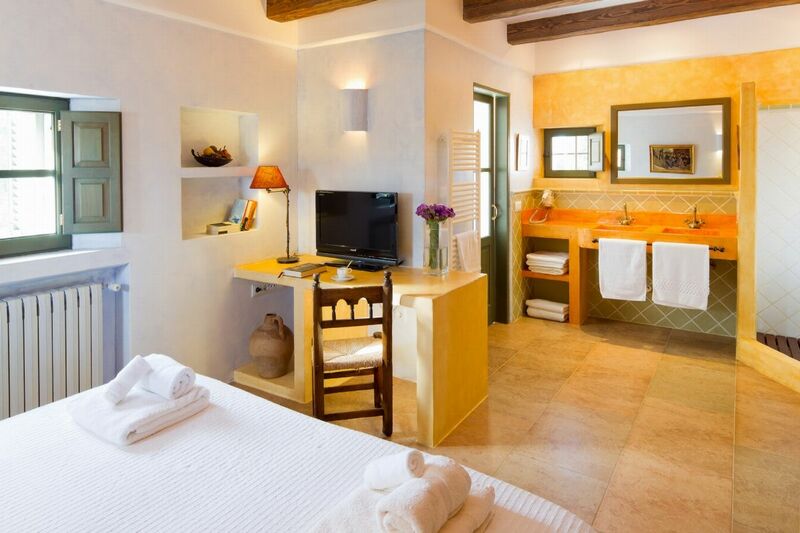 Bed linen/towel change half way through the week. 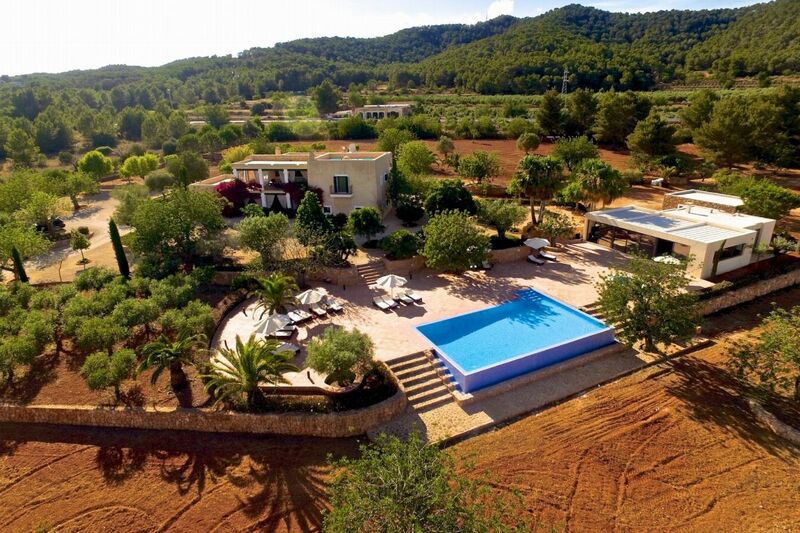 Traditional Ibiza property located in the middle of the island with amazing outdoor entertainment areas and spacious bedrooms. 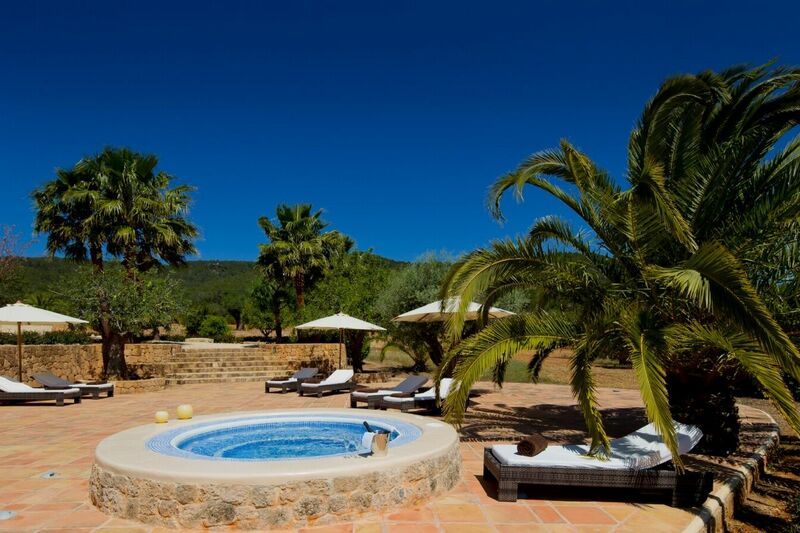 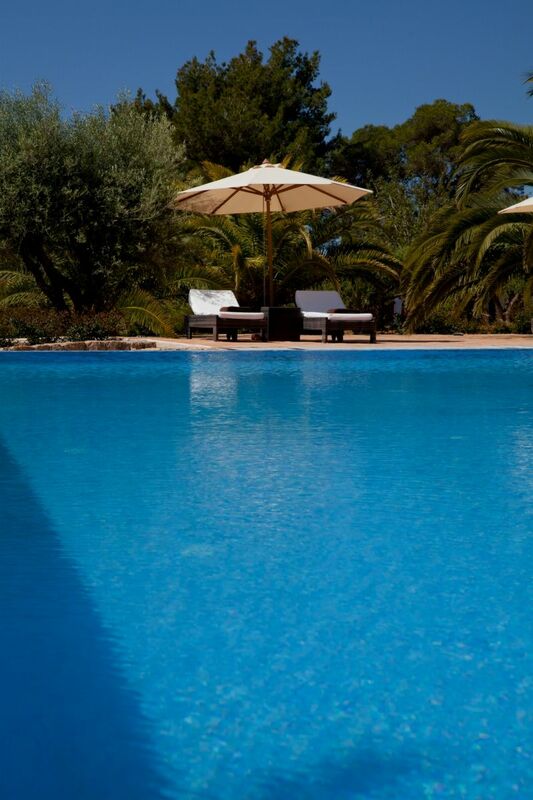 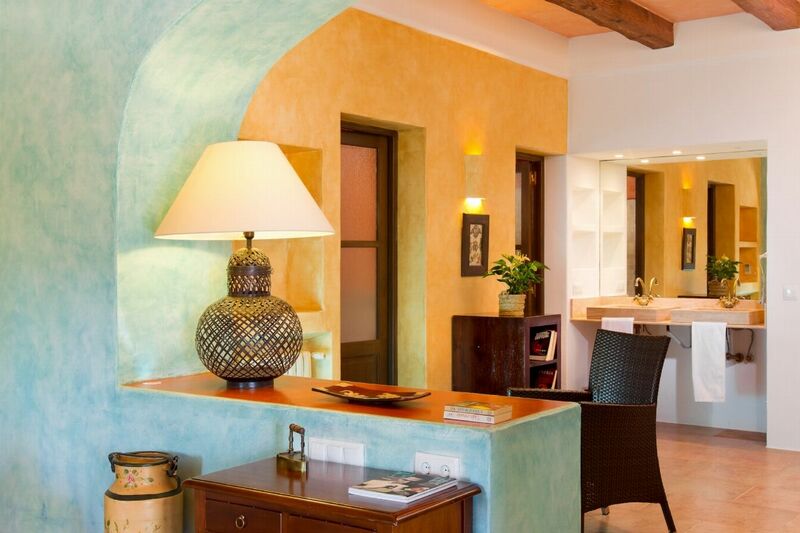 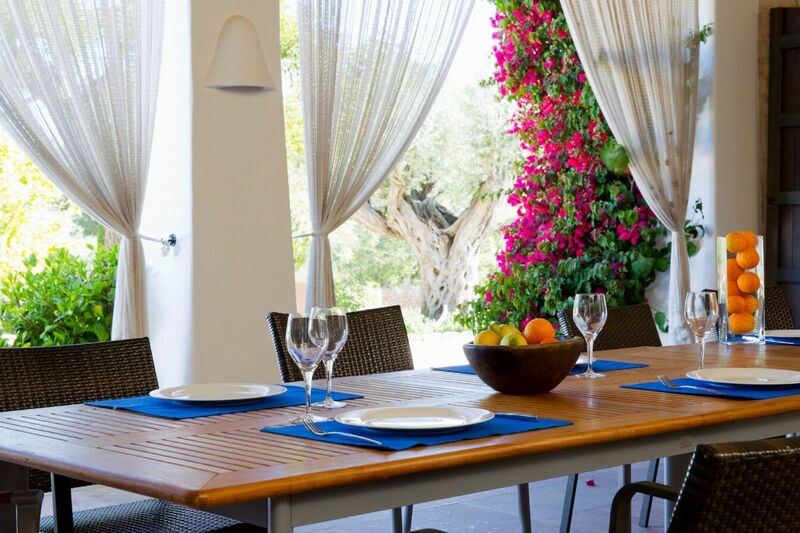 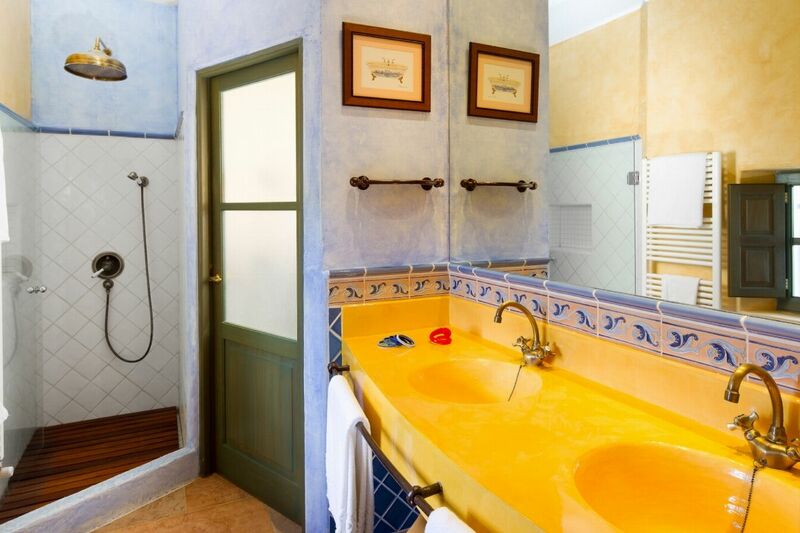 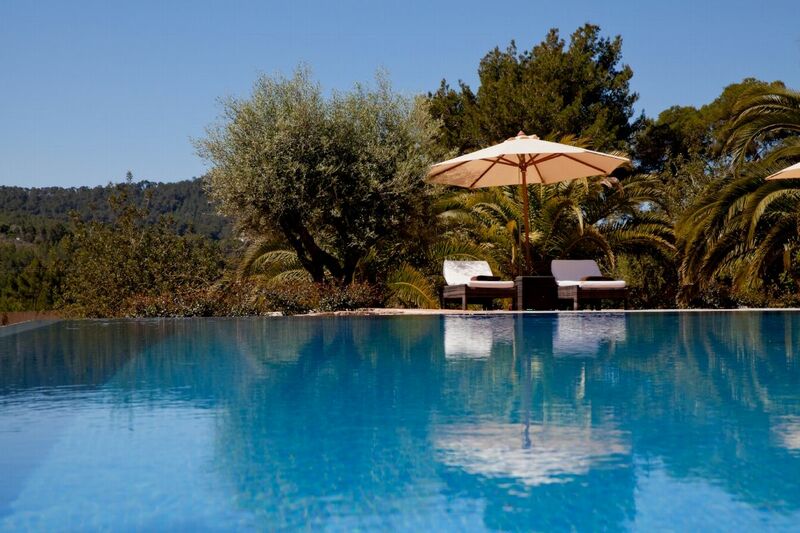 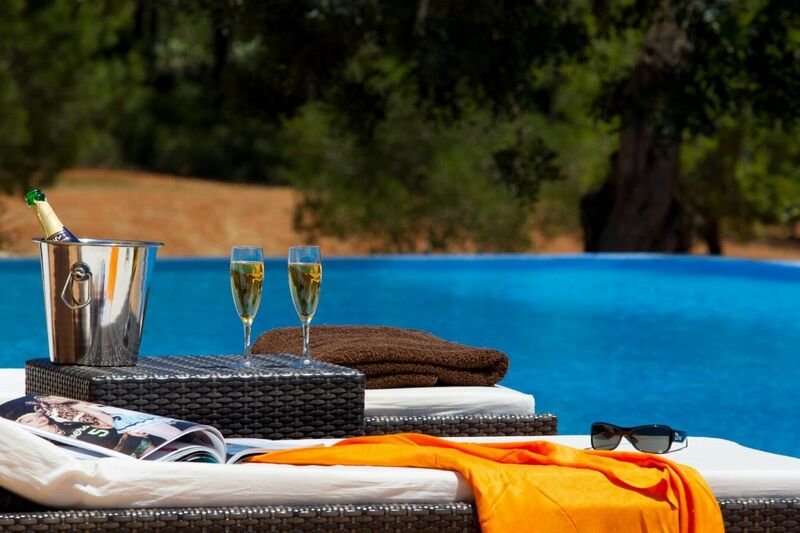 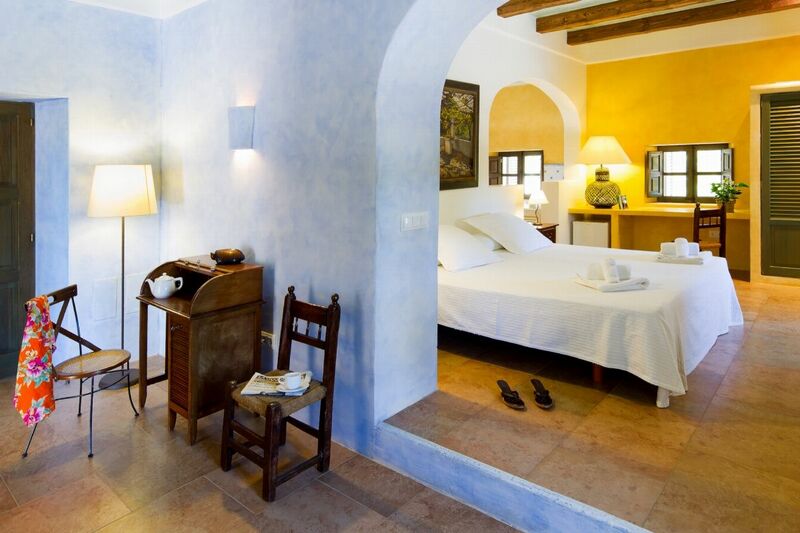 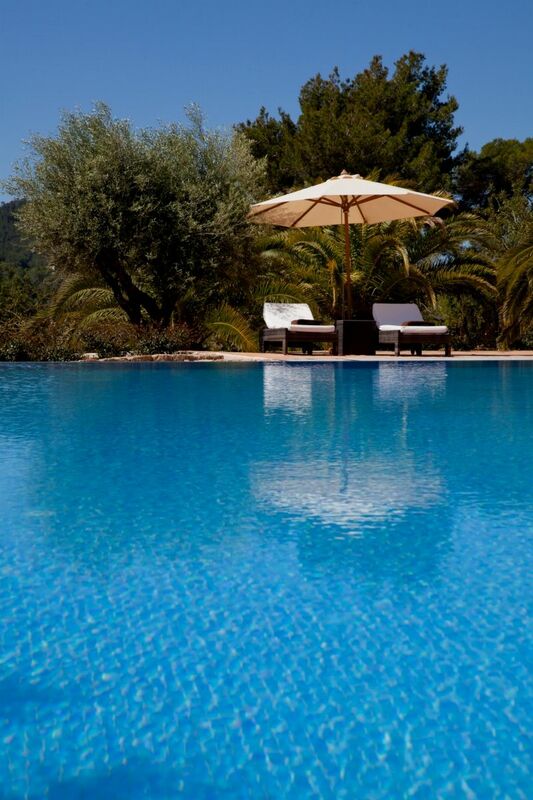 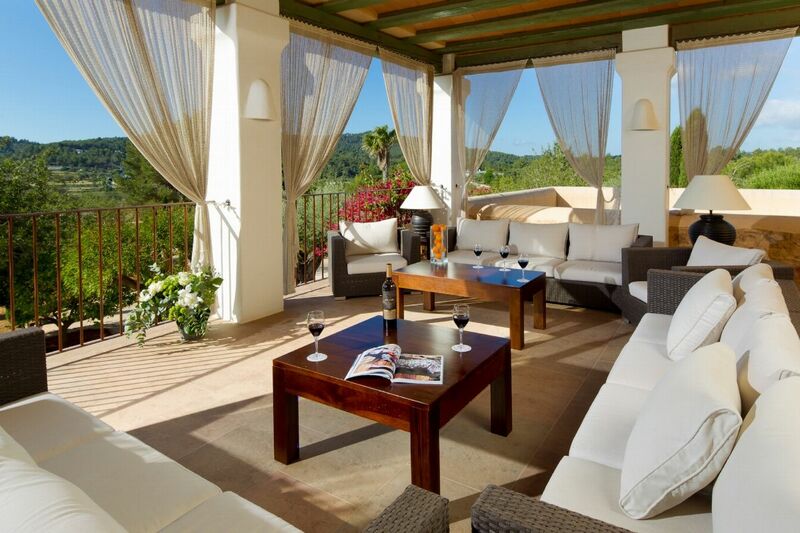 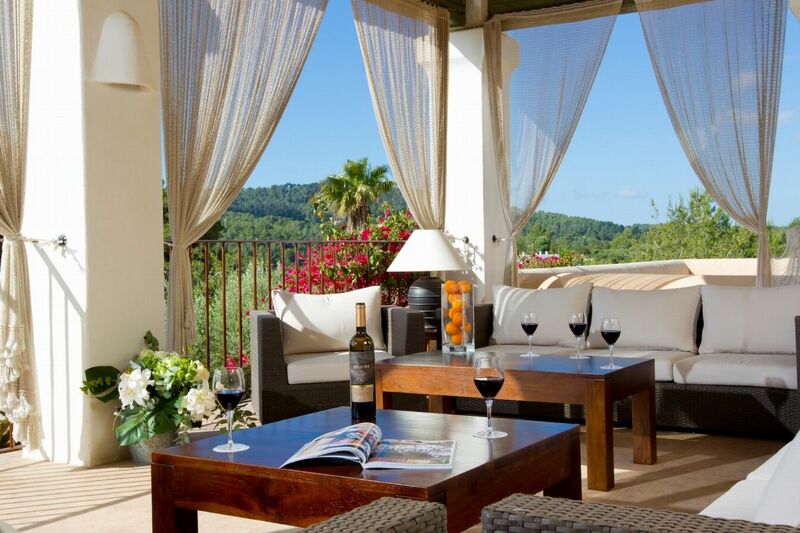 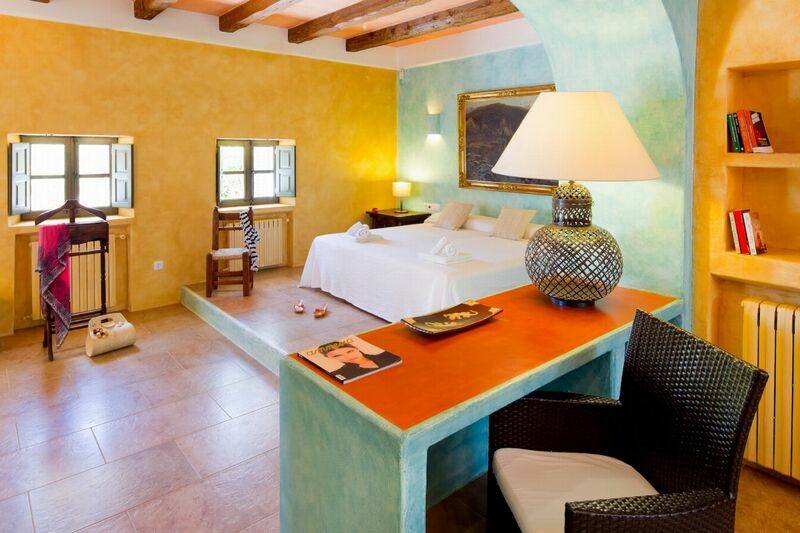 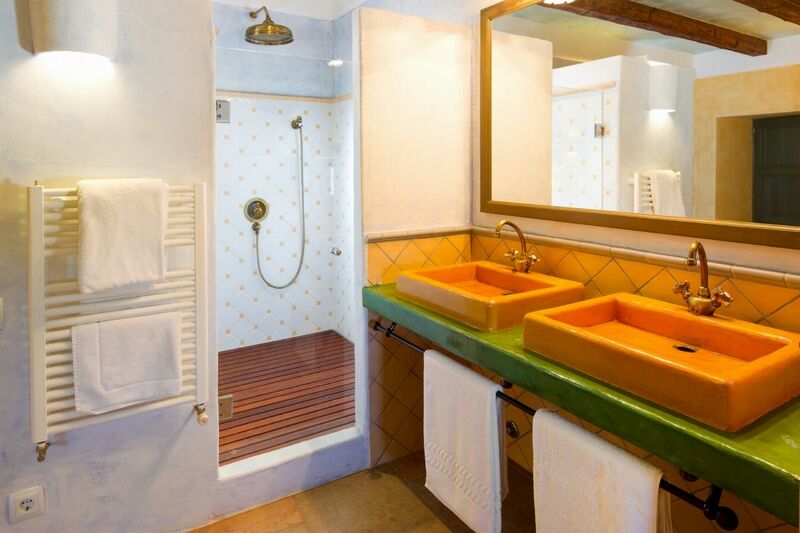 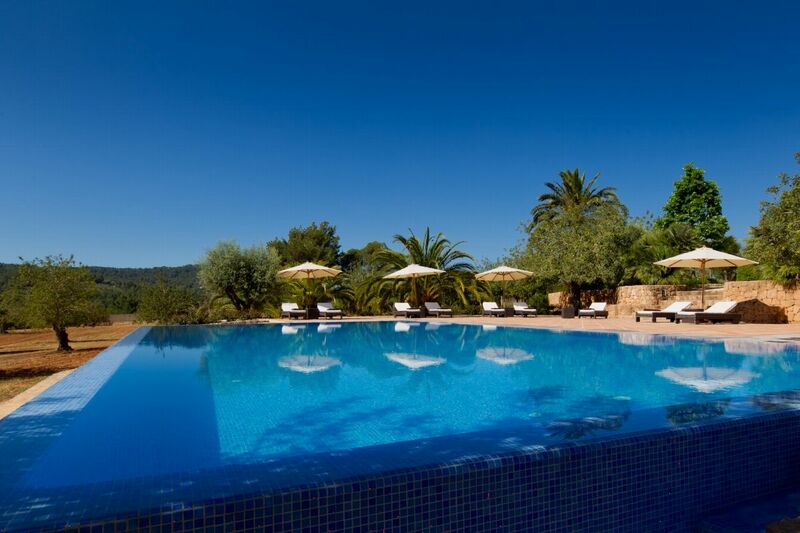 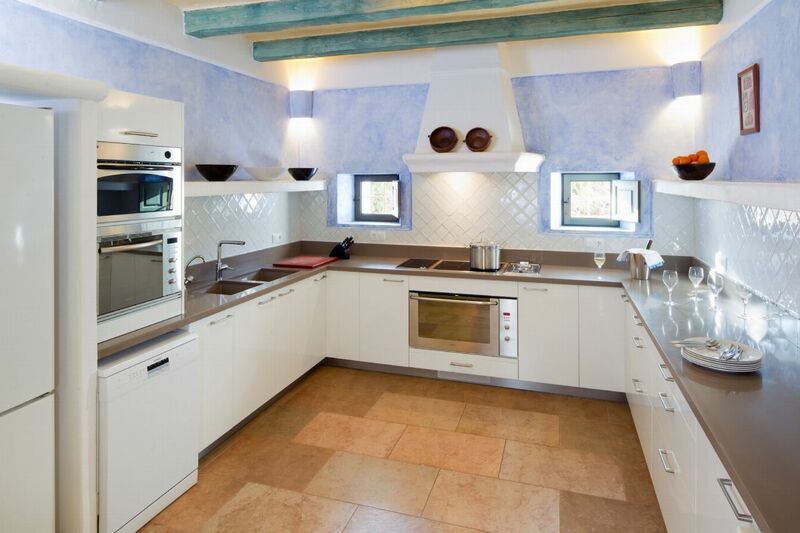 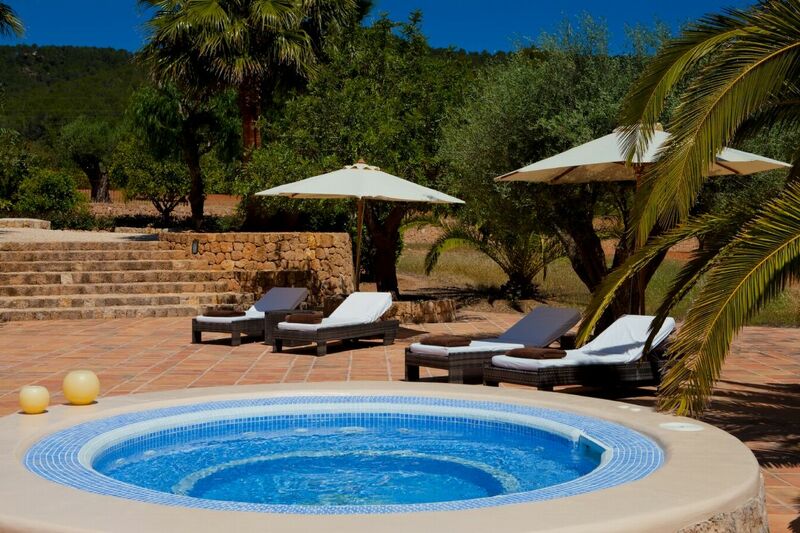 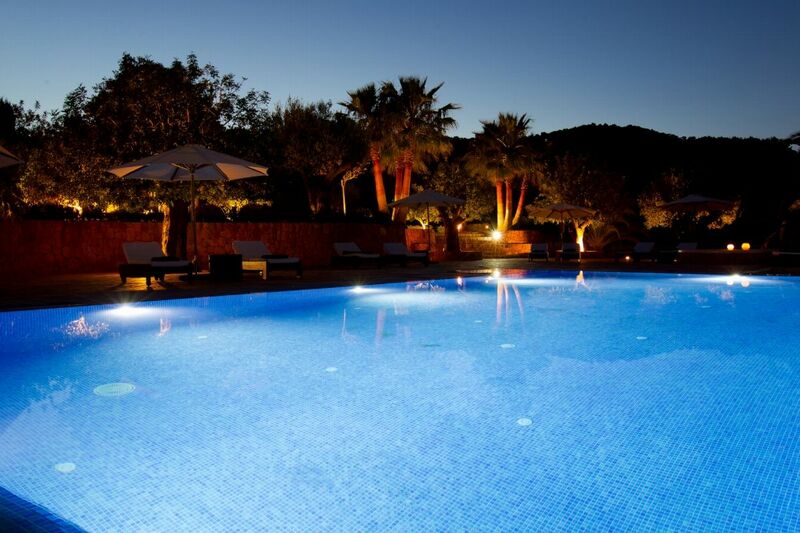 This new property has been built in Ibizaâ€™s typical architectural style, with luxury fixtures, fittings and comforts. 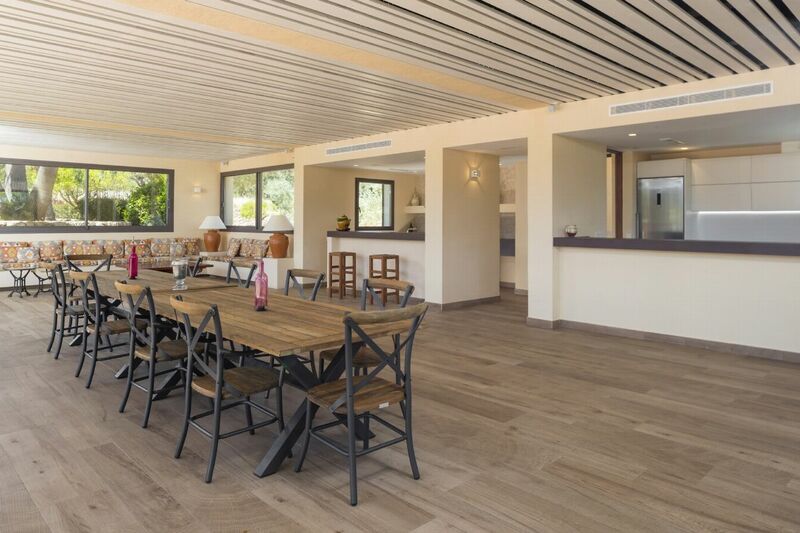 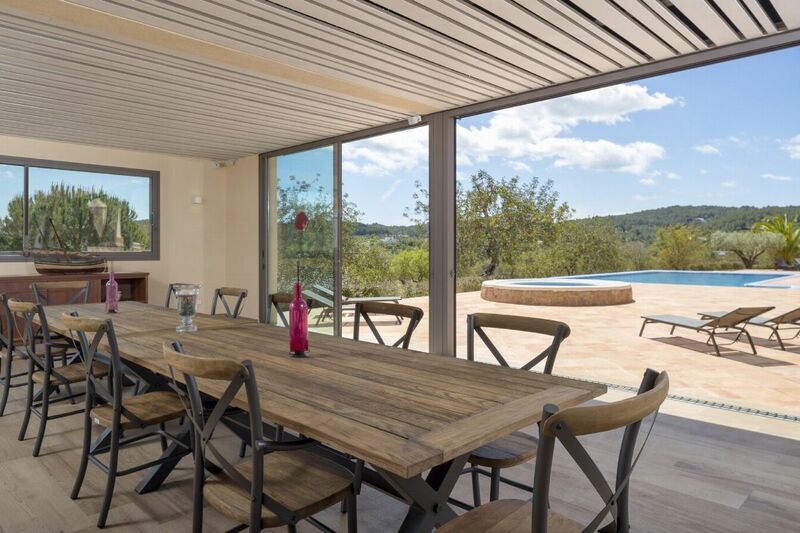 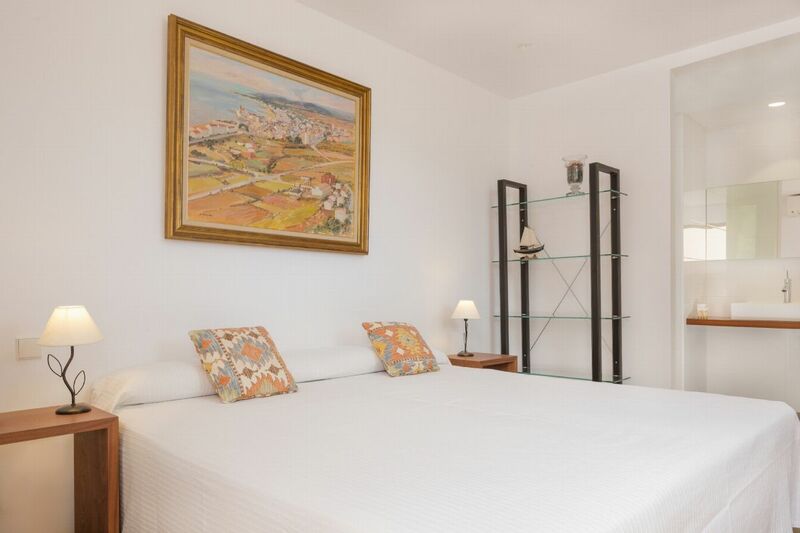 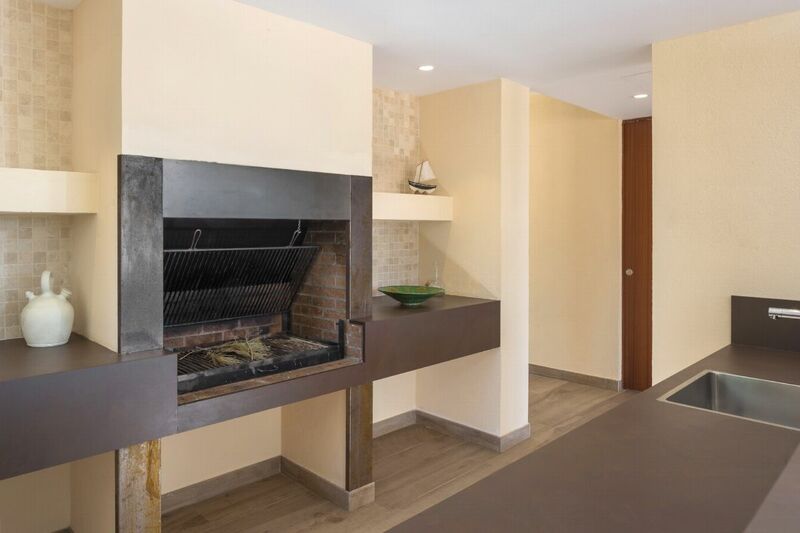 The house boasts 720 m2 of living space built within a 40,000 m2 plot with beautiful countryside views of the mountains in the Santa Eulalia area. 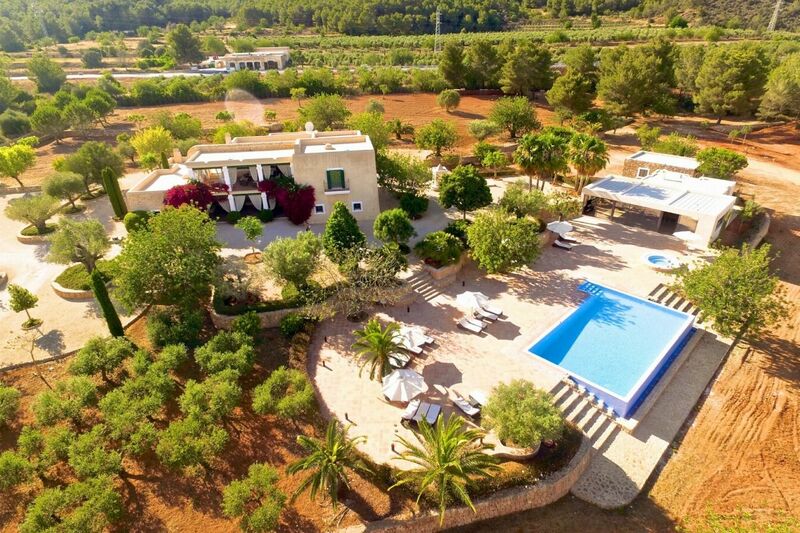 There are wonderful gardens with fruit trees and plenty of room for parking as well as a garage. 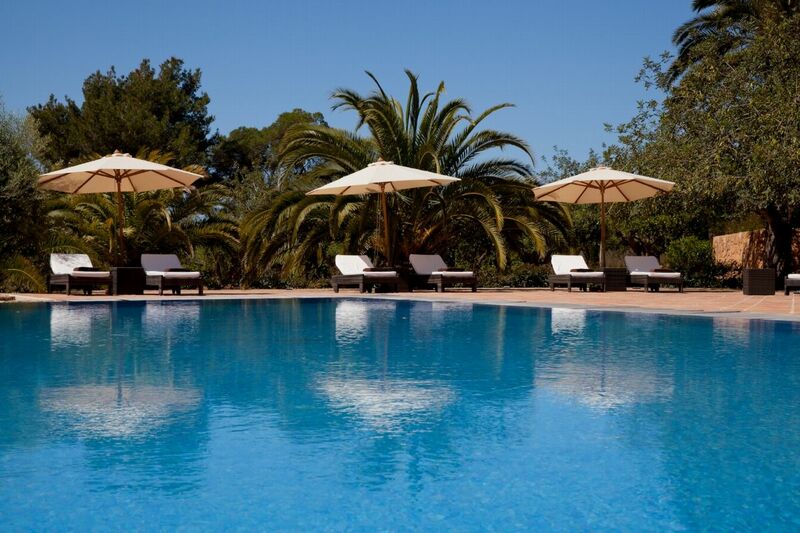 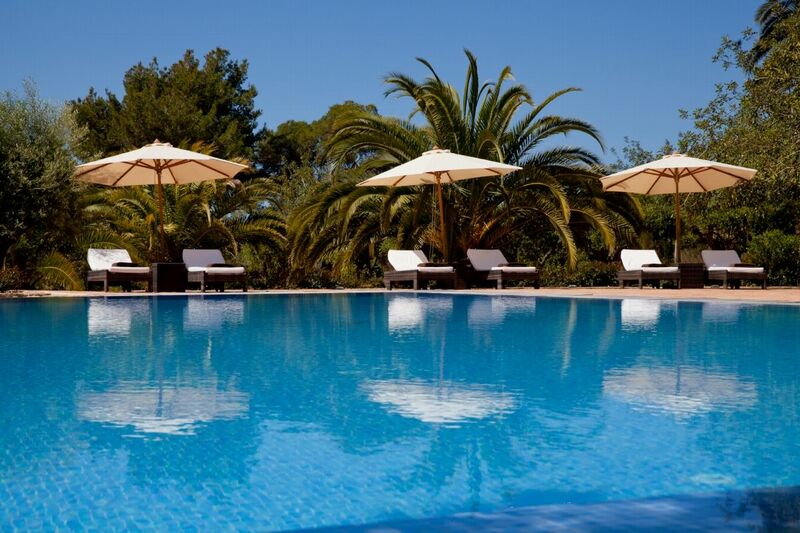 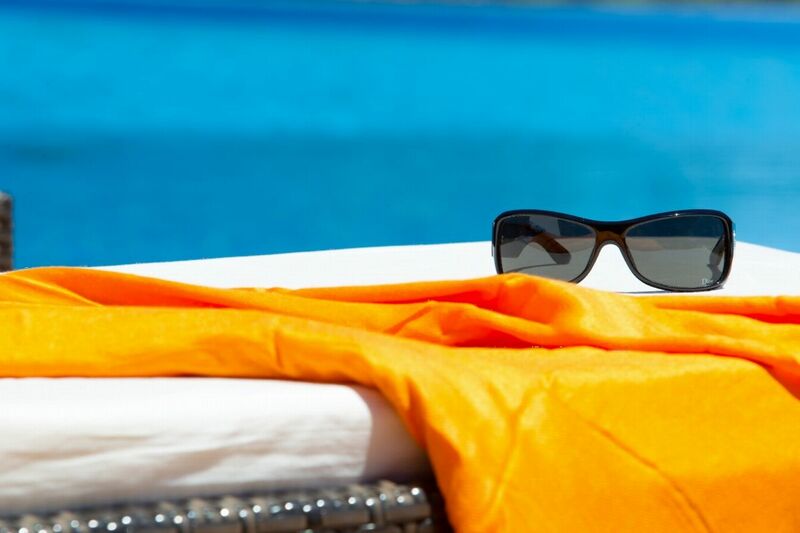 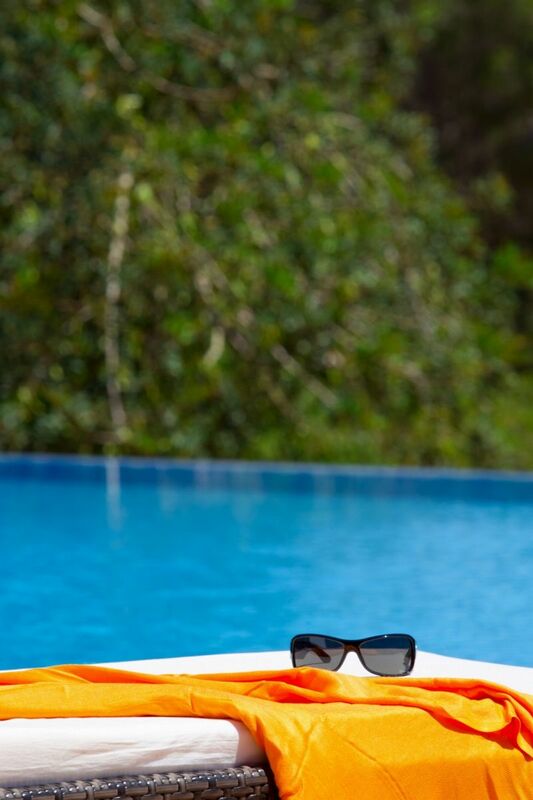 The modern swimming pool, outdoor jacuzzi, deckchairs, parasols and outdoor furniture make it the perfect place for enjoying those lazy summer days. 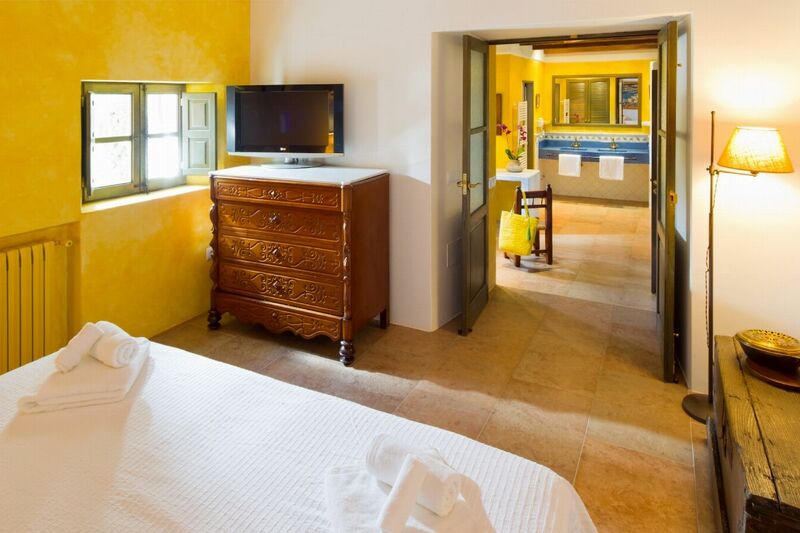 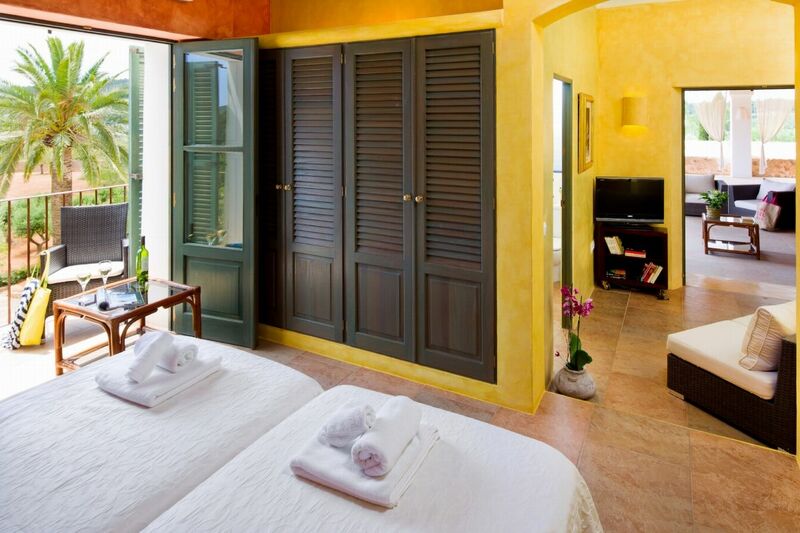 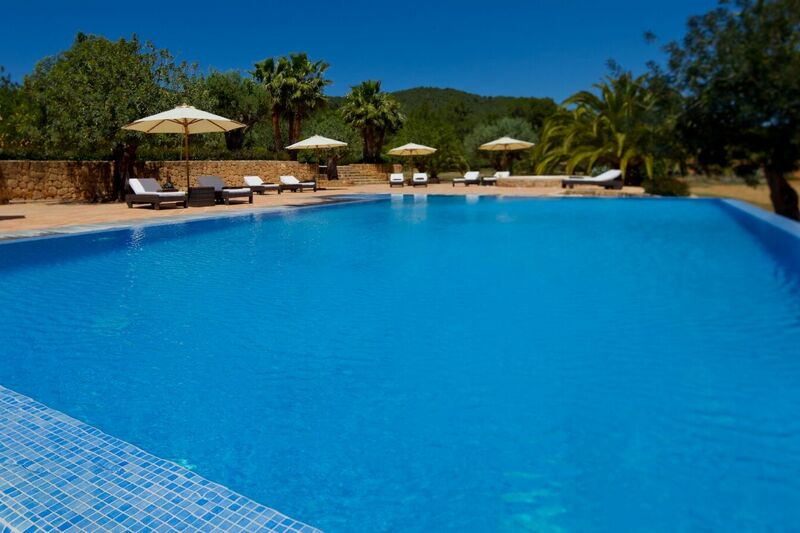 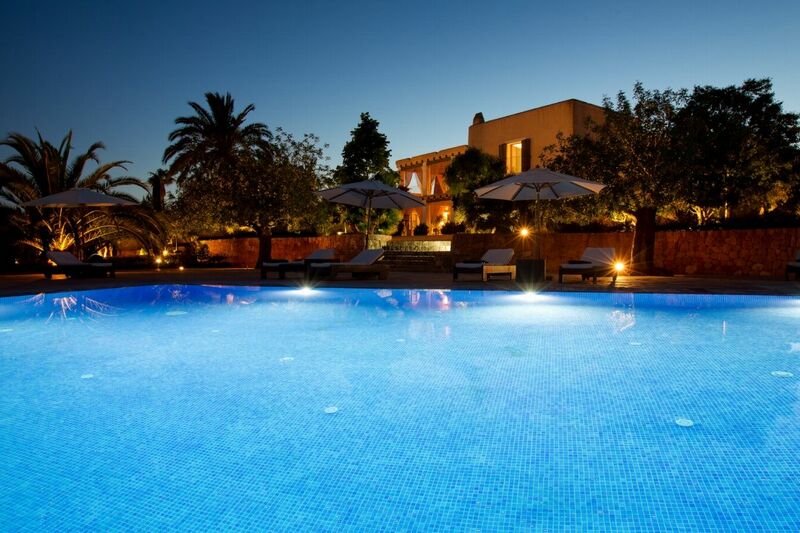 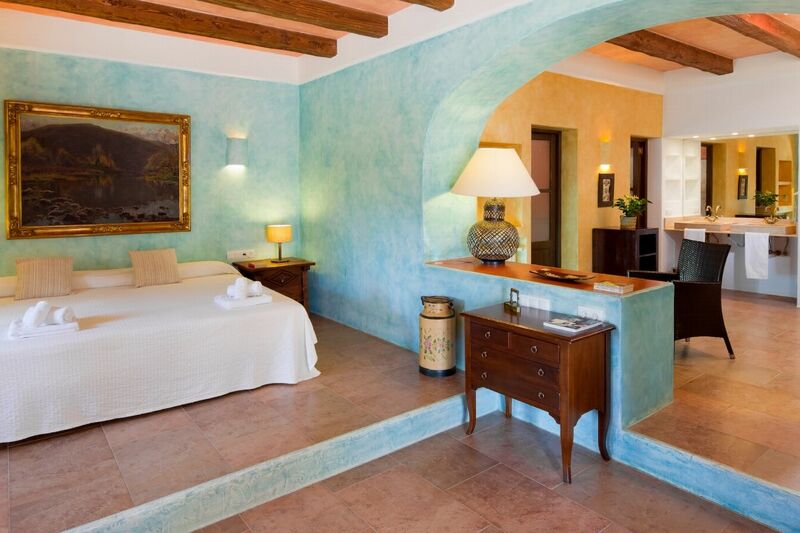 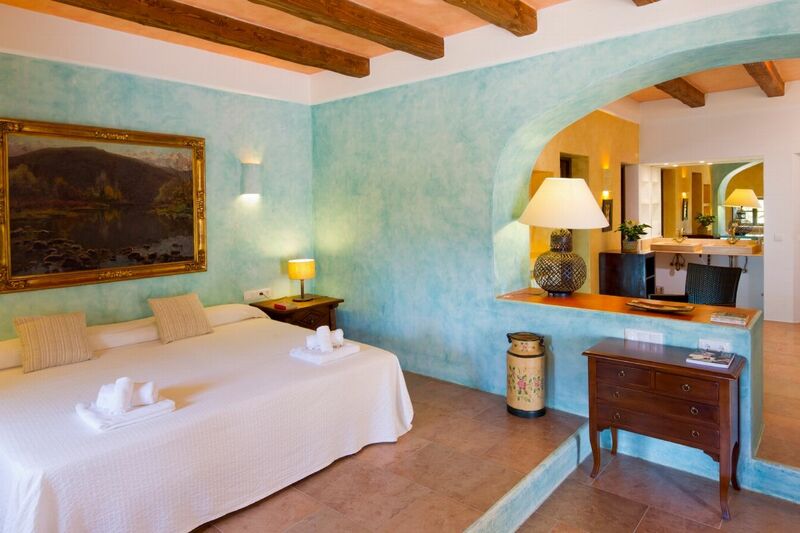 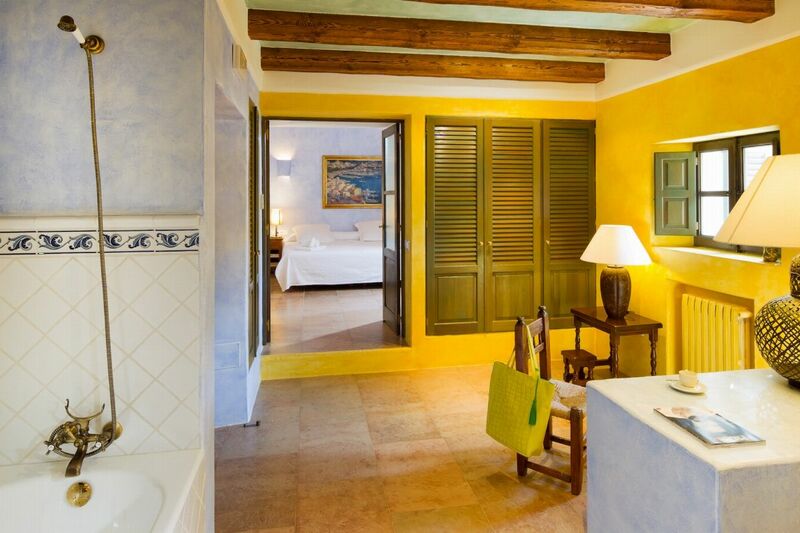 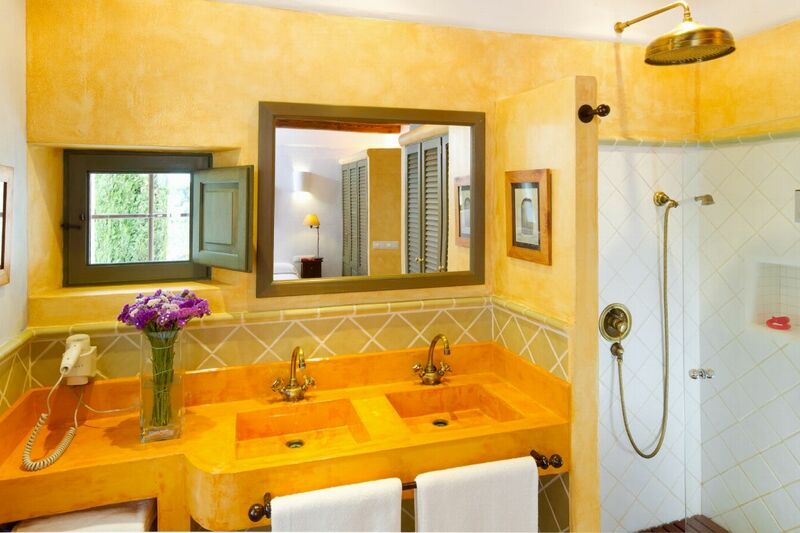 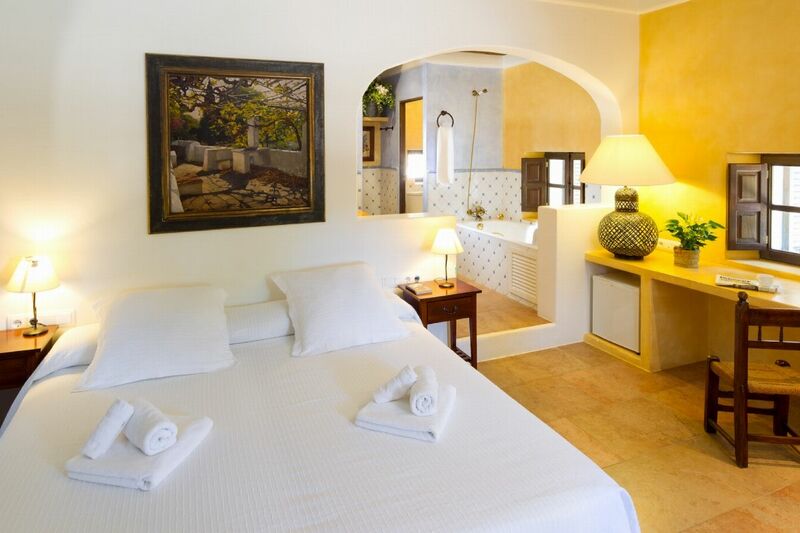 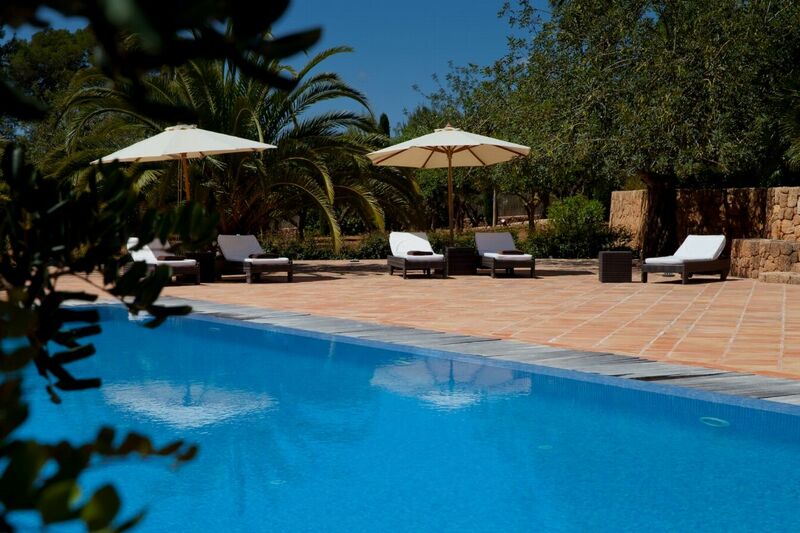 The villa has a newly built area near the pool which features a pool house and an 8th suite. 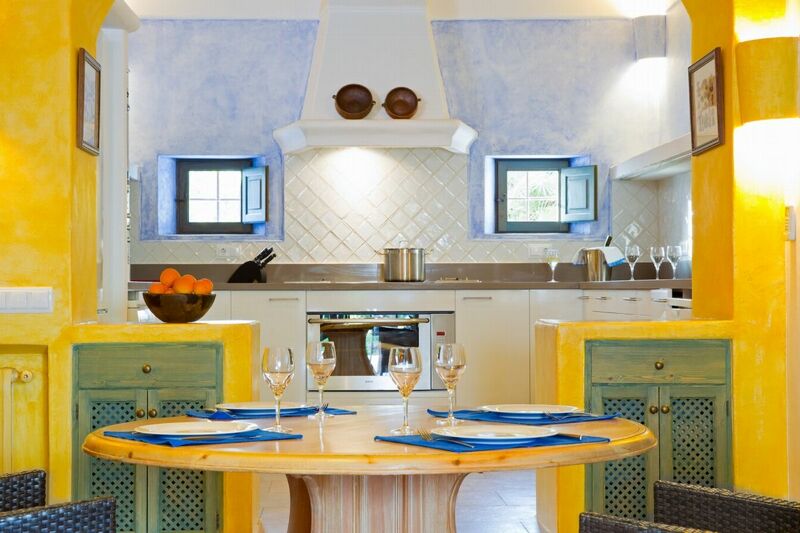 The pool house boasts a lounge/chill-out room with a large dining area seating 16 people and a chill-out seating area with a huge 55â€� TV screen, there is also a fully equipped kitchen, barbecue area, 2 toilets and 2 showers. 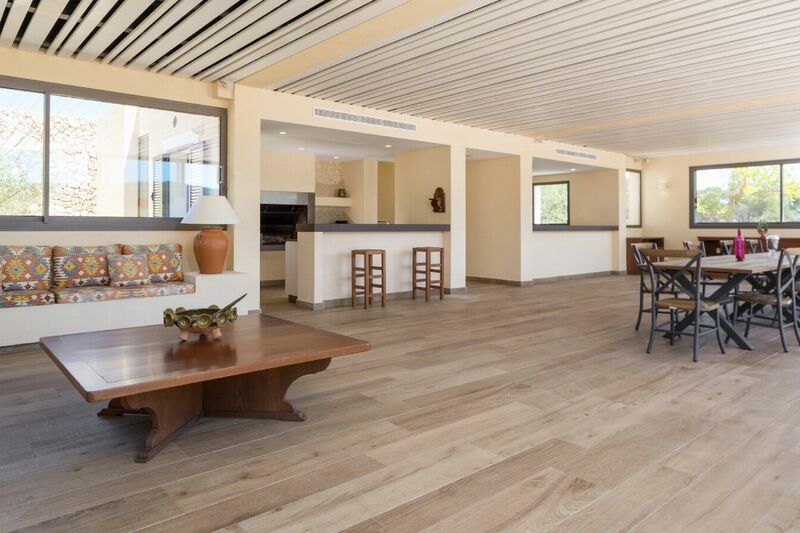 The chill out area is a mid-open/mid-closed space with air conditioning and can be closed off completely and used as a dance floor should you want to host an event (weddings etc). 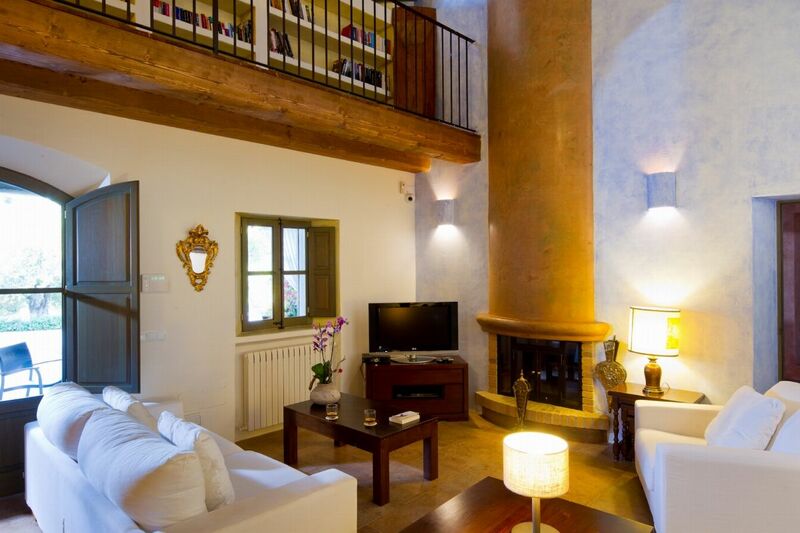 LIVING AREAS The lounge area is vast and has luxuriously comfortable furniture, a fireplace and TV with satellite. 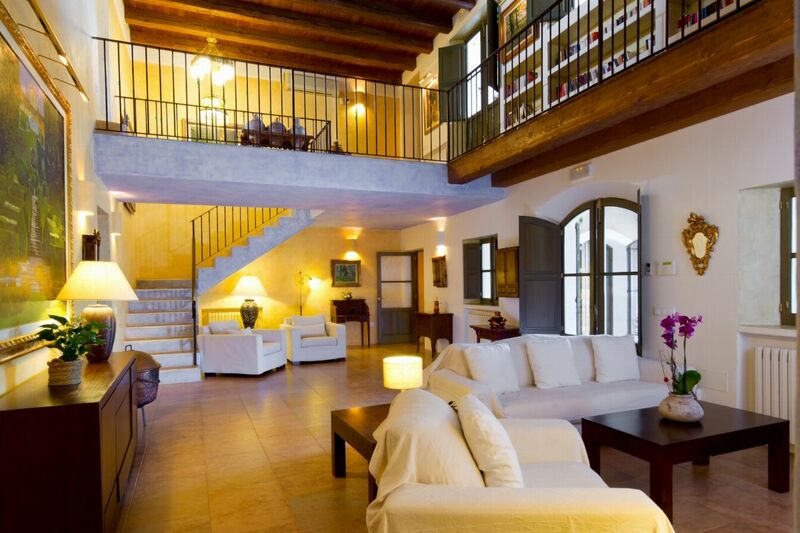 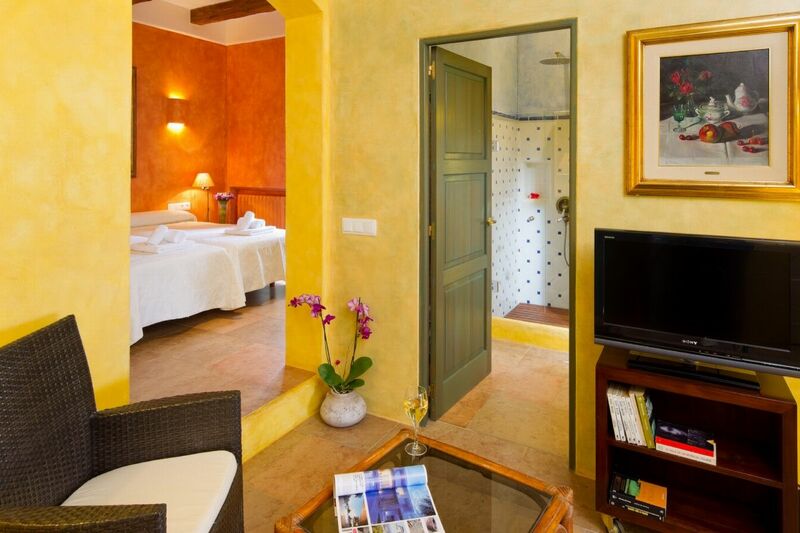 There is a dining room, a library, a laundry room with washing machine and tumble dryer, cellar and wonderful terraces. 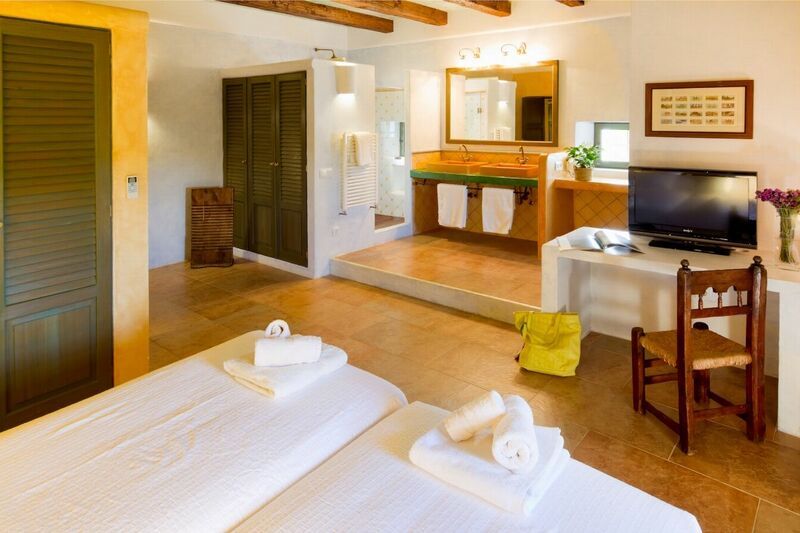 There is air conditioning (cold and hot) and WiFi available throughout the property. 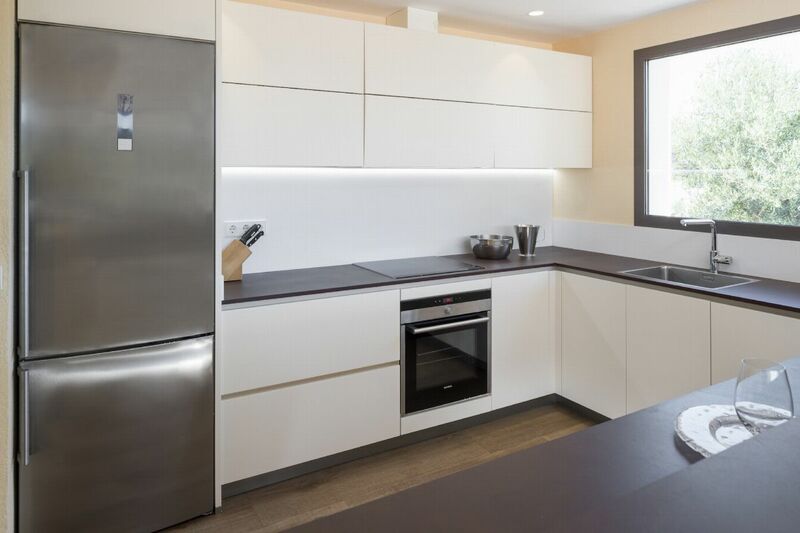 The fully equipped Siemens kitchen includes a fridge, a freezer, an ice maker, a dishwasher, an oven, a microwave-grill and a Freidora fryer and griddle etc. 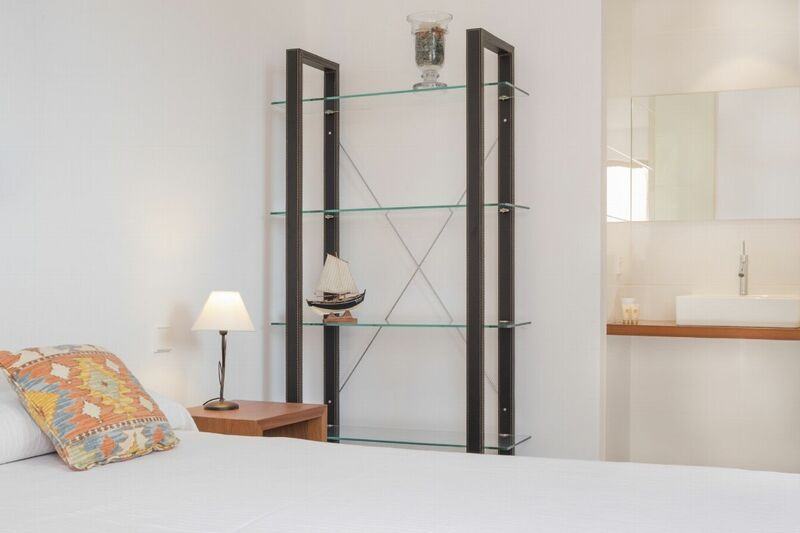 All necessary household items such as kitchenware, bed linen and bathroom towels are of course supplied.